The area was originally a livestock town. Originally the Town of Brighton, it was named after the markets of London and other cities that traded in animals. 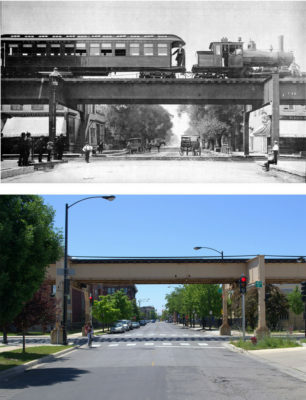 A stockyard once stood at the intersection of Blue Island Avenue (now Western Boulevard) and Archer Avenue. Farmers used these roads to transport livestock from outlying areas in to the city. This system wouldn’t last long, however, as other stockyard operations had more convenient road and rail access. The creation and consolidation of the Union Stockyards in 1864 caused the collapse of Brighton’s livestock economy. After the decline of livestock, manufacturing companies set up shop in the area. The local post office was referred to as Factoryville before someone realized that another Illinois town went by the same name. The real catalyst for change came with the arrival of Delaware-based DuPont de Nemours & Company. Founded in 1801 by two brothers who came to America after the French revolution, it was the country’s oldest and largest explosives manufacturer. 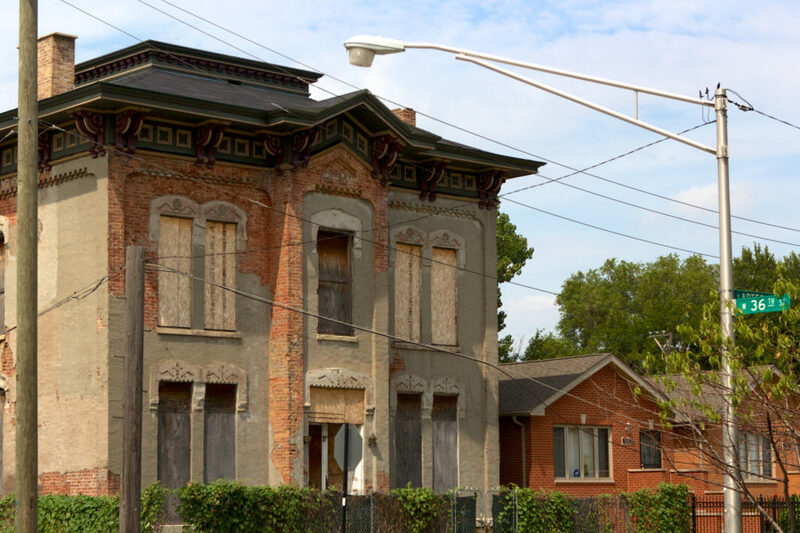 The house now sits on 36th and Artesian. Originally, it was built on land a couple blocks away on Western Boulevard, which offered a great vantage point of the company’s operations. The location proved to be a strong selling point when making the pitch to construct a new company house. 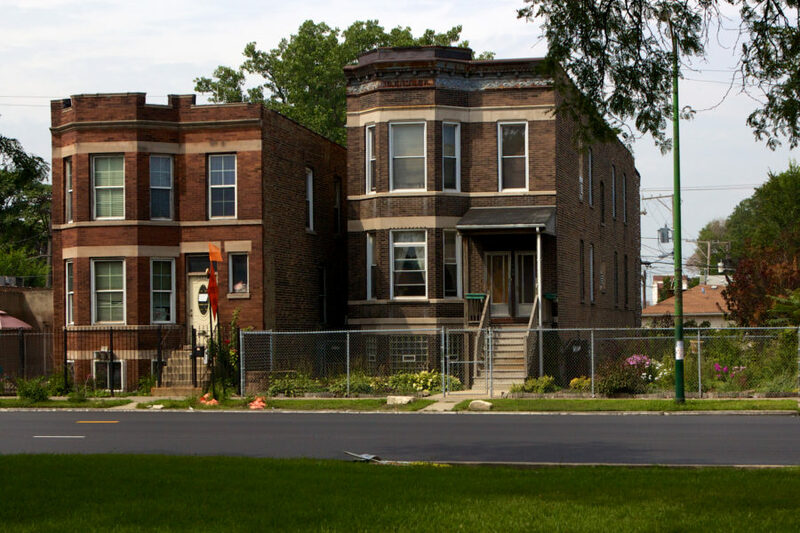 …As soon as the improvements are made your land is worth $100 per foot – The Boulevard is to be 250 feet wide – Was there a small house, that would cost say three or four thousand dollars built on the corner of this Boulevard and Boardman Street it would not only make a pleasant place for your Agent to live, but he would be where your entire property connected with the powder business here would be daily under his eye and I would be willing to pay six percent interest and taxes on the improvements as spent. 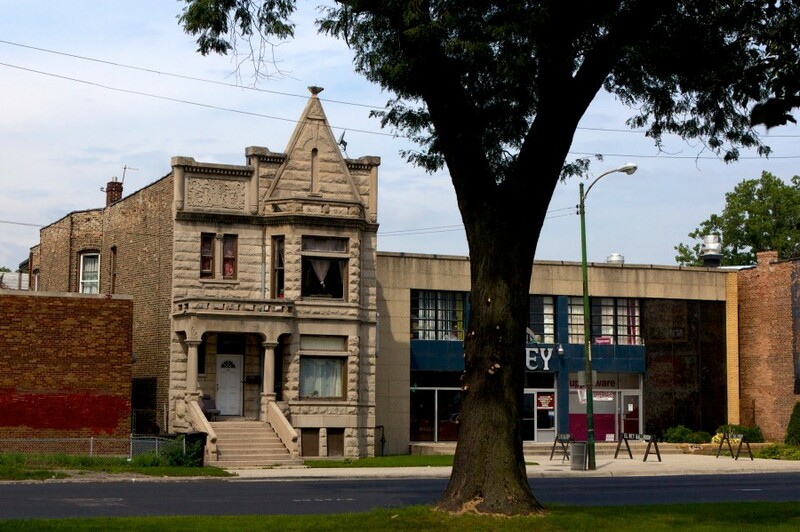 Brighton Park thrived as a gunpowder manufacturing location thanks to its geography. It was close to downtown, yet far enough away to avoid prohibitive ordinances affecting gunpowder businesses. In 1886, Chicagoans learned this distance wasn’t far enough when lightning struck a magazine used by a nearby gunpowder manufacturer. The resulting explosion set off a chain reaction, a force felt across the entire city. 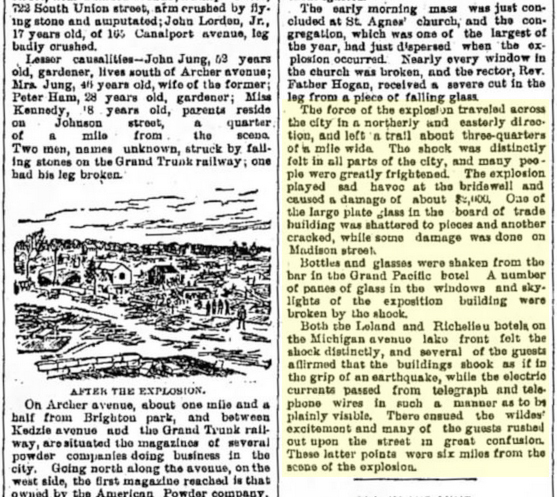 The reverberating shockwave shattered plate glass on the Board of Trade building and hotel windows along Michigan Avenue six miles away. Not long after this incident, gunpowder manufacturers relocated to more rural areas. With the decline of the local gunpowder economy, several parcels of land were acquired by a wholesaling company in the 1920s. 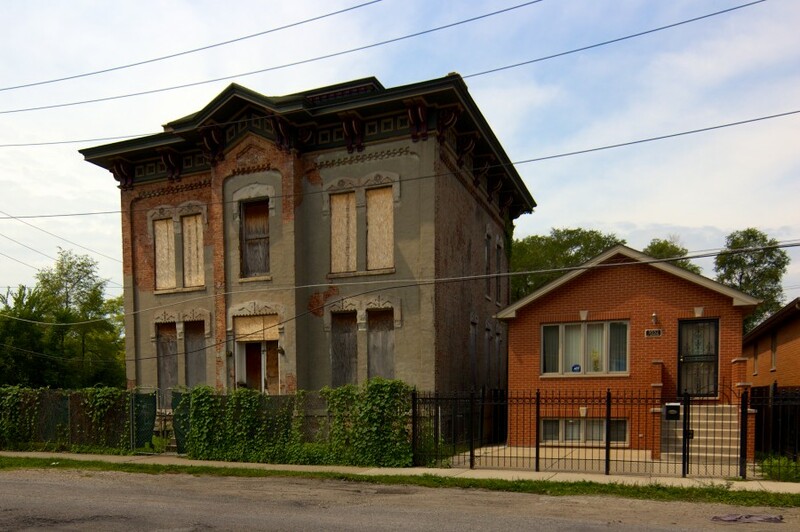 A freight depot was planned for the land where the house sat and the building faced demolition. 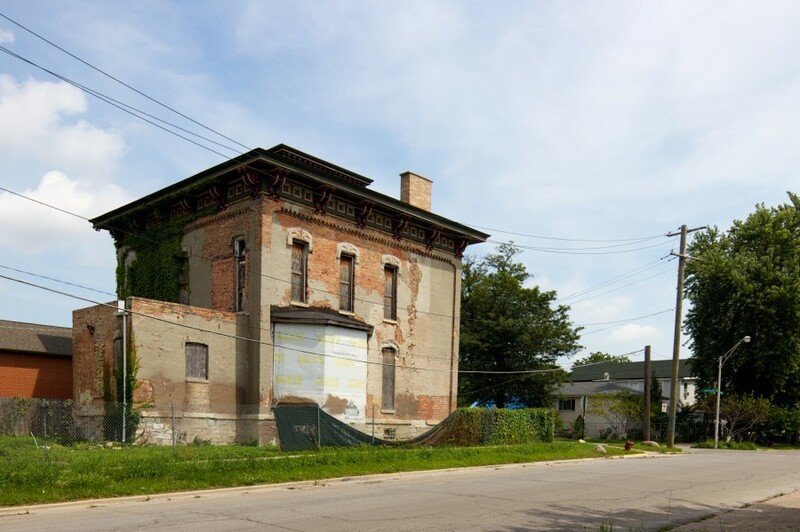 Fortunately, the house was rescued when the original owner, Emil Klank, pushed to move the home on a set of locomotive wheels and temporary railroad track to its current location. Despite the removal of the front canopy, the house remains surprisingly intact. Brighton Park today is mostly residential. Much of the housing stock consists of working class two- and three- flats in the Italianate, Workman’s Cottage, and lightly ornamented Neoclassical styles. The ca. 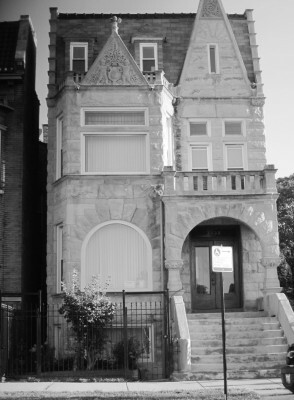 1880s Romanesque greystone at 35th and Western is one of the few surviving residential structures that date to the DuPont era. Most of the land and structures to the south on Western Boulevard were cleared for manufacturing use at the turn of the century. 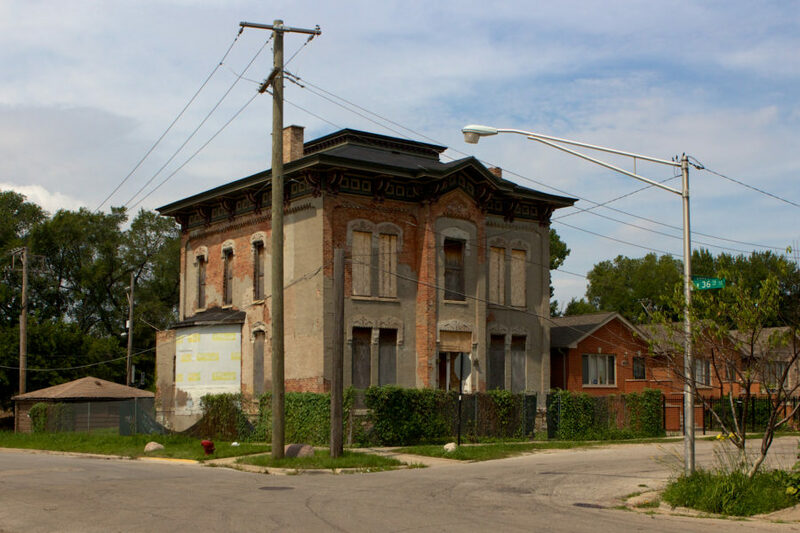 The Schlitz Tied House at 35th and Western was built in 1903 and is currently undergoing restoration. 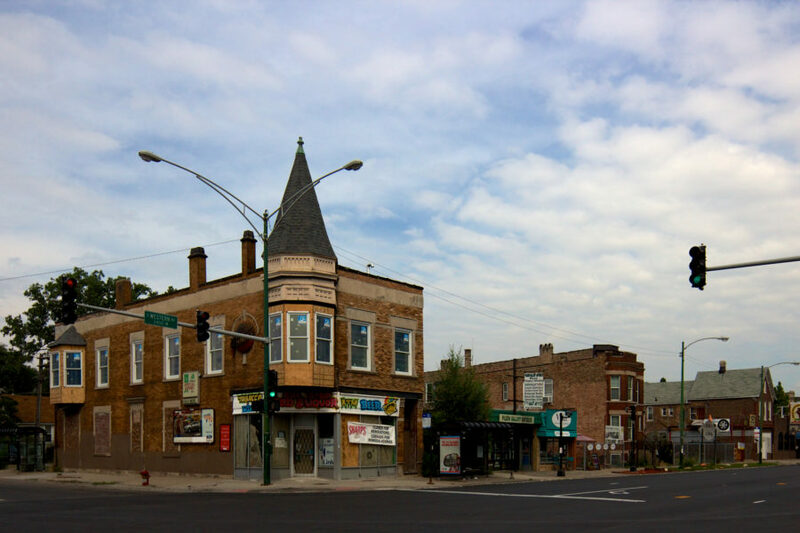 After submission to the Commission on Chicago Landmarks in 1988, it became officially designated as a landmark in 1996. 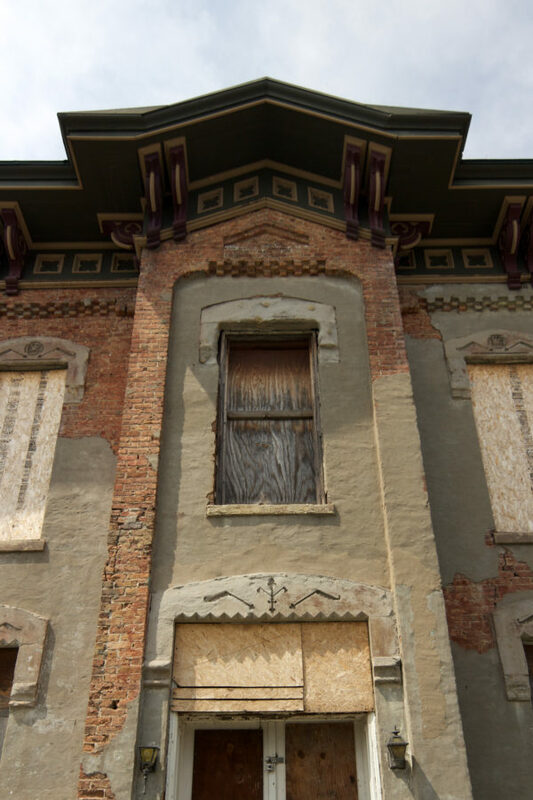 Inside, the home has been stripped to its bones, and rehab work stalled when it was half-finished. Campos says part of the ground floor had been badly flooded and the home was unlivable when he acquired it. 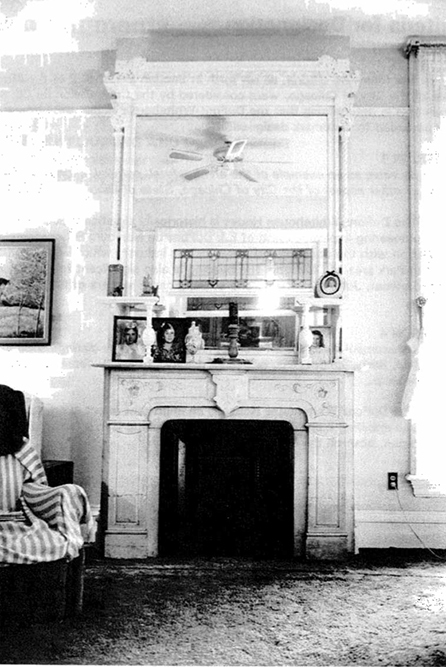 Most of the architectural details, including built-in bookcases, had been removed, but the old fireplaces and the banister on the main staircase have been kept (the banister is wrapped in bubble wrap and protected with plywood). And he has tried to keep as much of the original building — doors, crown molding, clawfoot tub, door frames, etc. — as could be salvaged. From the outside, it doesn’t appear as though much has changed. Loved your article, about the Dupont Whitehouse; fast forward to 2018, and, it looks great – restored on the outside now.